Do your bit for the planet - Save hundreds of pounds and trees by using our in house mailing service. Following on from our quick and professional printing service, we can offer a stress free mailing service to ensure your printed material is seen by the right people, at the right time. 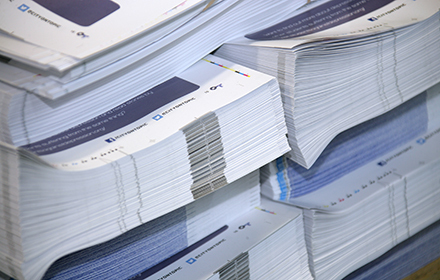 With extras such as lightweight polywrap for magazines and a data cleansing process to eliminate duplicates it will all help to reduce costs and unnecessary waste – we have the facility to carry out your print requirements and mailing all under one roof. We are capable of arranging this mailing (whether it is large or small) from our own London headquarters and deal with all jobs in house for convenient mailing for all of our printed products. For more information on mailing and booklet fulfillment, click here, or for Direct Mail services click here.